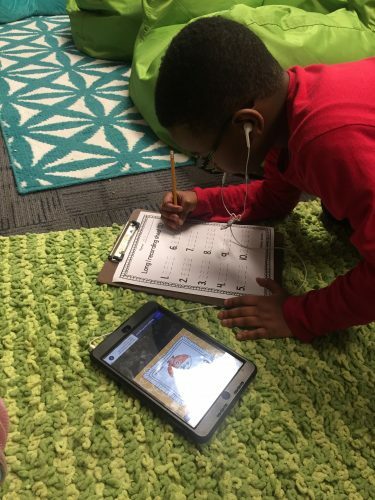 Students worked on subtraction problems with regrouping in Math Lab. 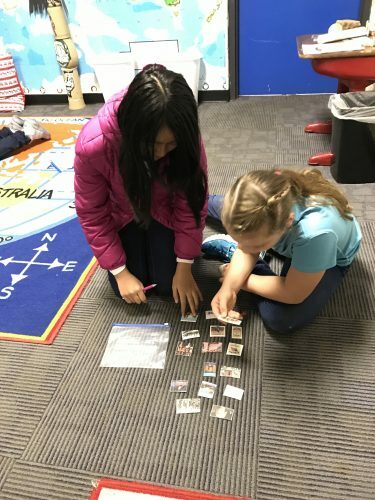 They “iced” this lesson! 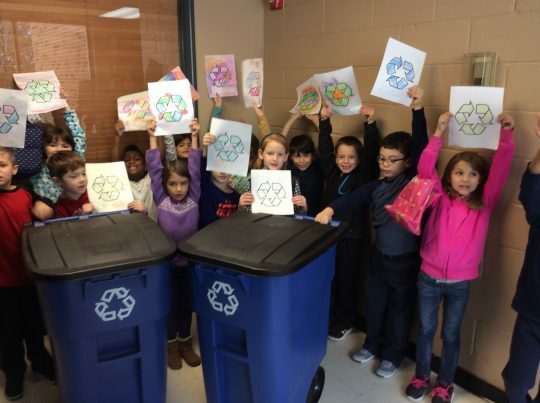 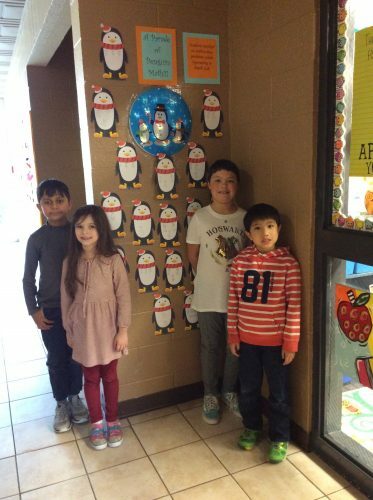 First Graders conclude their study of the earth’s resources by learning about recycling. 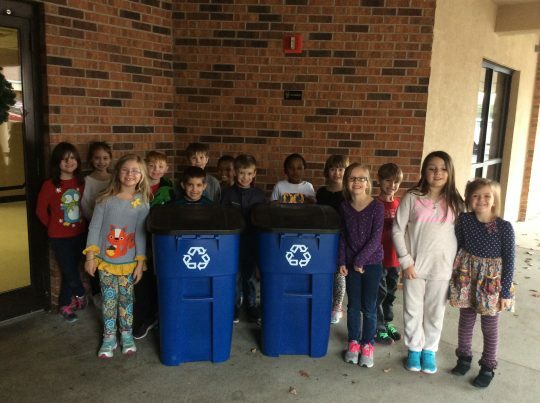 We discussed ways to help take care of our planet, and learned the three “R’s” – Reduce, Reuse, Recycle. 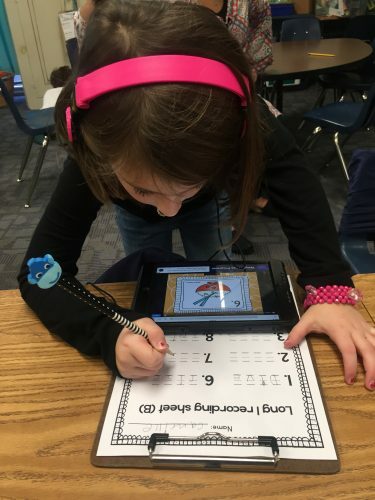 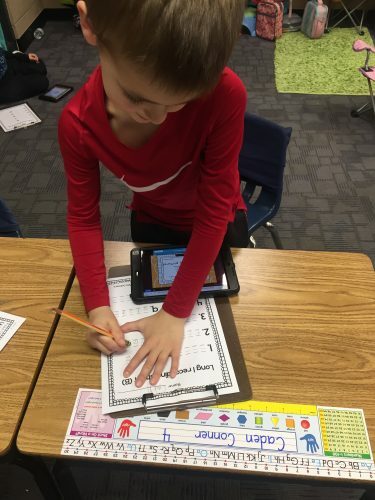 First grade practiced finding long i words with a scavenger hunt using QR codes. 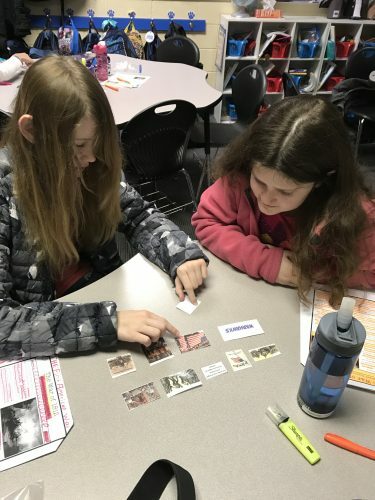 After scanning the codes, students would see a picture or read a sentence and have to determine which long i word matched. 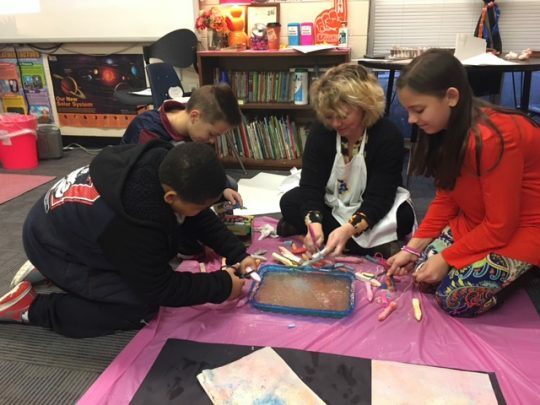 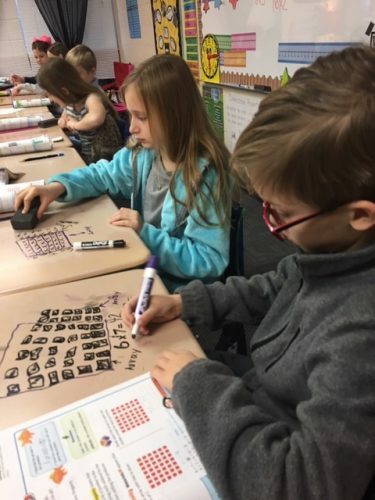 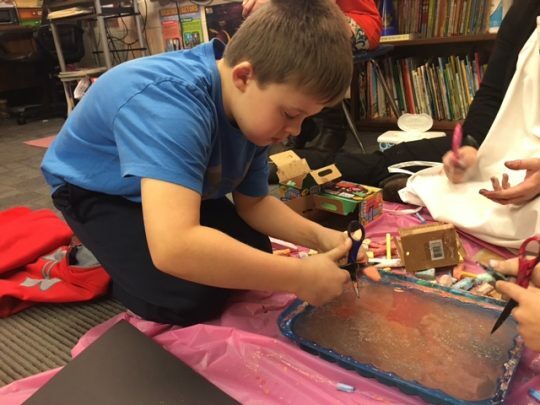 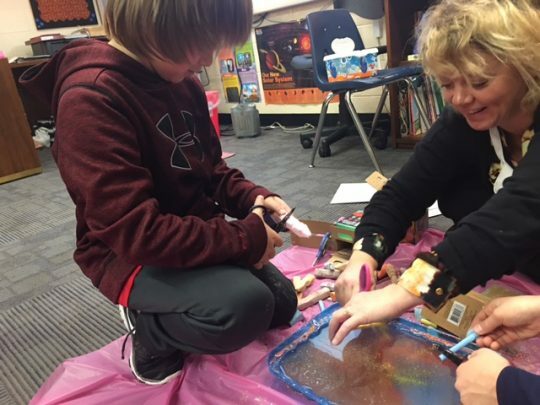 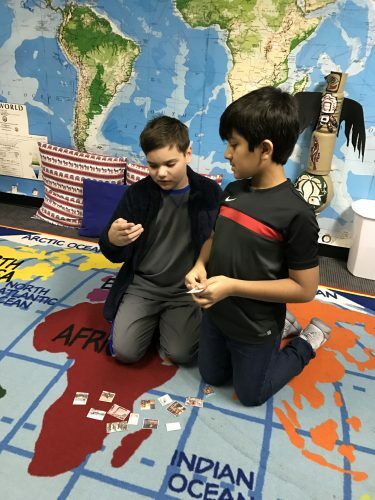 Third grade students receive some help from 5th grade iLead students as they explore minerals and chalk (contains the mineral calcite), which will serve as a cover for their minerals and rocks research packets. 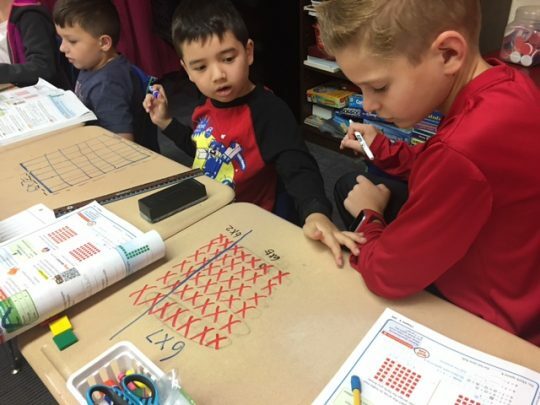 Third graders are exploring and working through the Distributive Property of Multiplication problems through hands-on array models. 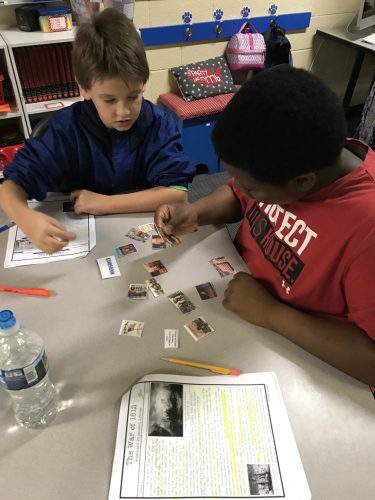 FUSE Social Studies students used key pictures to retell the events of the War of 1812. 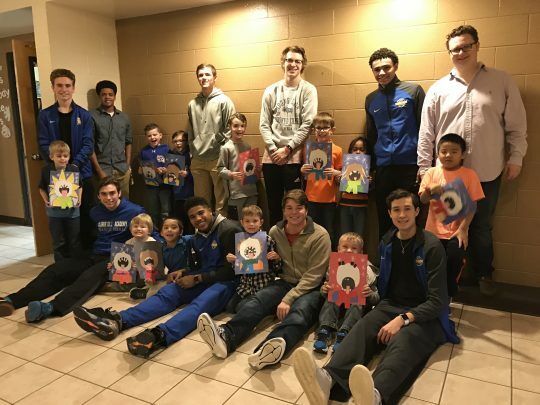 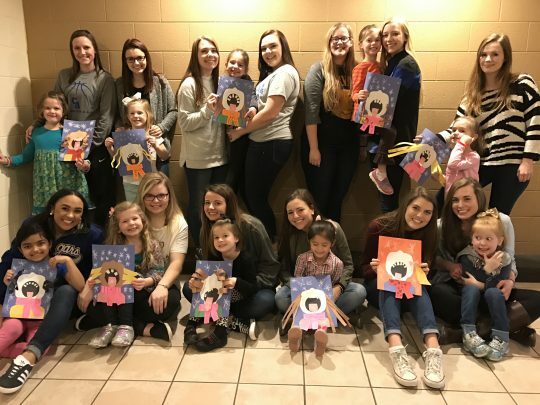 Kindergarten had a great time with our senior buddies on Friday. 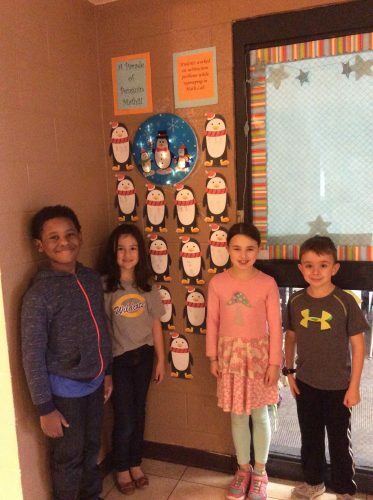 We created a self portrait as if we were catching snowflakes.